When digital channels such as websites arrived, they were designed in large part as “pieces of paper” delivered on a computer screen (thus, the still-widely-used term “web page”). But the human brain wasn’t wired to slog through big blocks of text, so millions of websites (and now mobile apps and other digital interfaces) are currently under-engaging the people they were built for. Luckily, the past few years have seen big improvements in the quality (and cost) of developing video content and tools. My colleague Nick Barber has written extensively about the power of video to improve customers’ experiences and boost companies’ business outcomes. Retailers, travel providers, and other firms have designed and built useful video tools for their customers. But one industry still lags badly behind: wealth management. Forrester’s recent report outlines the lack of video content and tools on financial services companies’ sites and apps. As part of this research, we looked at 15 wealth management providers (10 in the US and five more around the world) and found that just six included any kind of video content on their websites. And just one of these — Saxo Bank in Denmark — includes videos on its home page. Start with one-way on-demand video that helps customers with how-to info. Most wealth management firms should start with on-demand video content on brand-owned digital properties. Leading firms use on-demand video to inform and engage customers: AIG’s website for Irish customers includes video guides for completing tasks such as renewing policies. Likewise, the French investment and financial services firm Société Générale offers an excellent 68-second video that explains and promotes the bank’s “crypto-dynamic option” product (see screenshot No. 1 below). Consider live webcasts for investors and prospects. Live video can be delivered via online video platforms or through a dedicated webcasting platform. Live video creates a sense of immediacy, and that’s why viewers watch live video 10 to 20 times longer than on-demand content. Wealth management companies are especially well suited to offer live-broadcasted videos: Fidelity, for example, produces a webcast “Saving for College in Three Easy Steps,” which would appeal to the more than 38 million US households with children under 18. Put videos on your mobile apps and websites. Mobile-savvy customers are some of the most likely to prefer short videos to text, and mobile experiences benefit from videos that help customers learn about services, products, and financial topics more broadly. E-TRADE, for example, offers dozens of videos on its smartphone app, providing customers with an easy way to learn about useful products and services. 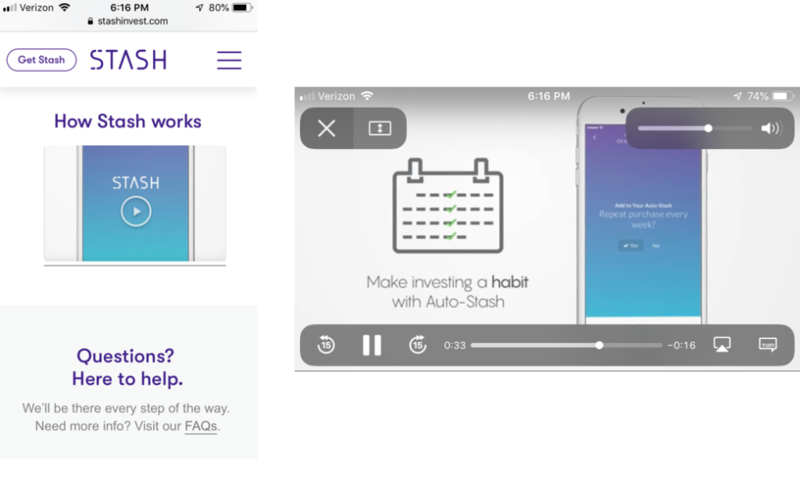 Fintech startups such as Stash are ahead of incumbents here, offering short, useful videos on mobile touchpoints (see screenshot No. 2 below). Prioritize video for high-impact customer moments. Beyond promoting new product or services launches, digital teams should prioritize video initiatives that help customers in key moments and task flows. Digital shopping experiences, for example, can be tense and anxiety-filled for customers, and video content and tools can provide some relief. CIBC — a Canadian bank and wealth management firm — identified this pain point and chose to embed a video to show users how to open an account. The video outlines how easy it is to apply, which gives prospects clarity about how the process works and the confidence to get started. Set modest goals and measure your efforts obsessively. Once you produce your video, view count is a basic way to gauge success. Consider completion rate and percentage viewed as insight into whether your content is successful. Use an online video platform or video CMS to integrate with marketing automation and CRM to understand more about your viewers and where the content fits in the customer journey. 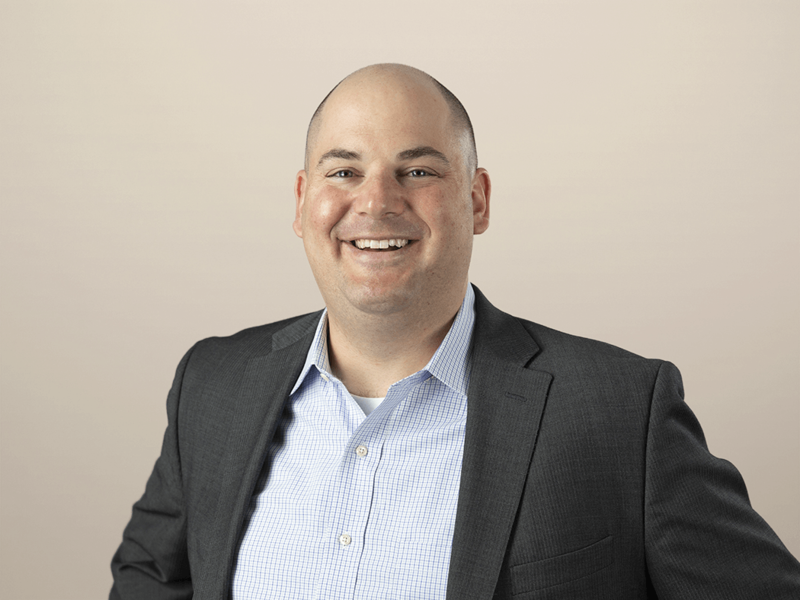 These proof points will help digital teams and their partners gauge how valuable these video efforts are and make the case that more video content and tools will further benefit the bank, brokerage, insurer, or credit card provider. We encourage you to read our report and reach out if you have questions! Can We Talk (Honestly) About The Executive In The Room?